Thrillist is wrong again. 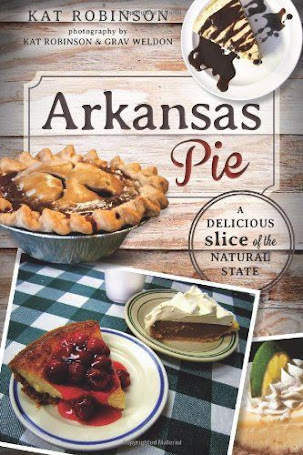 I took the website to task a couple of months ago for choosing Slim Chickens as the restaurant chain that best represents Arkansas (sorry, Slim Chickens), and I went after Slate for erroneously naming Red Velvet Cake the dessert for The Natural State. but the general store hasn't always housed it. Both of those choices were at least justified in some manner or another. However, Thrillist chose to determine the oldest restaurant in each state, which should be determined by facts. It chose the Oark General Store in Oark – which, I’ll admit, there’s a lovely little restaurant inside, but it’s not a century old. 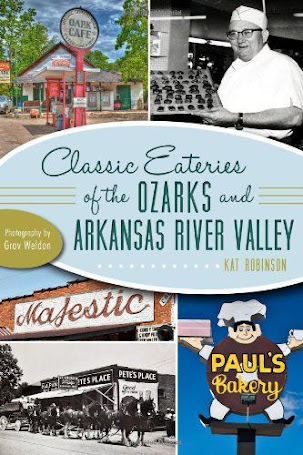 In fact, in my book Classic Eateries of the Ozarks and Arkansas River Valley (in an excerpt you can read over at Dining With Debbie), I talk about the general store’s history. Yes, it’s the oldest general store in Arkansas. But the current restaurant within dates back less than a decade. Historic Arkansas Museum in Little Rock. Now, if the article was talking about the oldest restaurant to house a building, it’d have to go back further than 1890. It’d have to go all the way back to 1826 to the Hinderliter Grog Shop. The building was first opened as a tavern but also saw time as a barbecue joint over its extended life. Today, it’s part of the complex at the Historic Arkansas Museum in downtown Little Rock. You can walk in, you might even get a sampling of cornbread or another food being demonstrated, but you can’t order your lunch there. Historic Washington State Park near Hope. For the oldest original restaurant currently in use as a restaurant today, head to Historic Washington State Park near Hope, where you can have lunch at Williams Tavern Restaurant. John Williams first opened the tavern to travelers heading between Little Rock and Dallas way back in 1832 – though the building was about seven miles or so from where it’s located today. 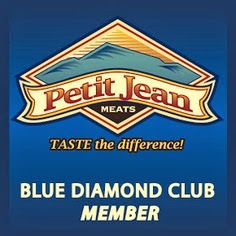 Want to have a menu item that’s been offered for more than 100 years at one place? Go to Pocahontas and have a sundae at Futrell Pharmacy. That location opened up in the 1890s. The oldest non-dessert item still on the same menu anywhere would be the corned beef sandwich at Oaklawn Racing and Gaming in Hot Springs – and it’s been served since 1904. But you’re wondering about restaurants. 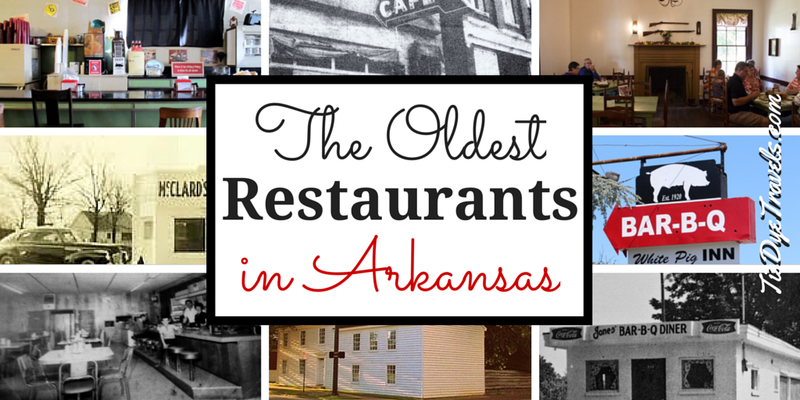 So here’s a rundown of the oldest continuously operating restaurants in the state. The White House Cafe in Camden, before it was painted white. Cool bar at White House Cafe. 1. White House Café (Camden). The original White House Café still stands, though most of Camden has moved around to the other side of itself. It was built next to the railroad for the workers who were coming in to get on with the lumber industry in the area, way back in 1907. Famous for steaks and burgers and Ark-Mex food, it holds what’s believed to be Arkansas’s oldest liquor license, and more than 50 types of beer are offered. Be sure to check out the really cool metal bar, and if you really dig history, check out the upstairs section. Inside the Ozark Cafe in Jasper, historical image. 2. The Ozark Cafe (Jasper). The original place in 1909 serve just one dish each day, soup or stew served out to people who came in for a quarter a bowl. 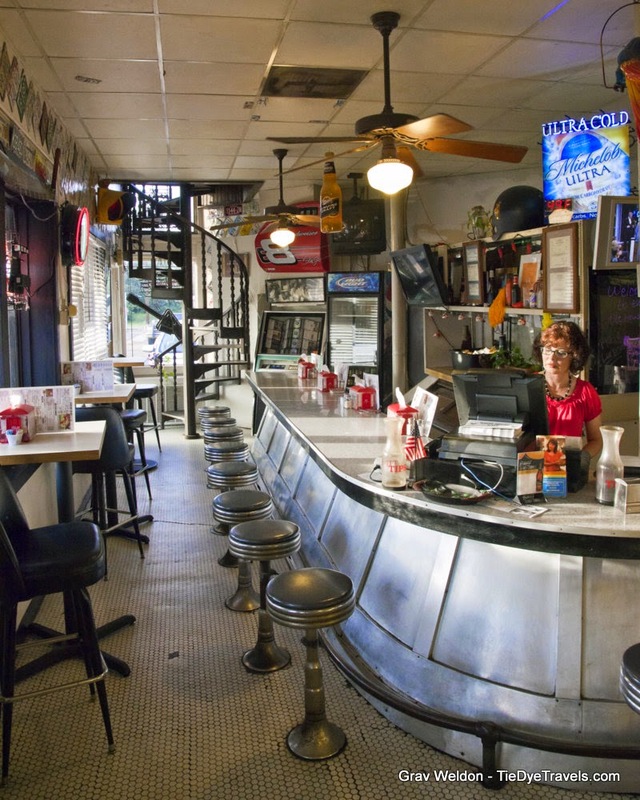 It grew over the years to offer just about anything you could imagine getting in a diner, family restaurant or soda fountain. The restaurant still sits in its original location on the Jasper square across from the courthouse, and today it’s best known for chocolate gravy and The Excaliburger. Jones Barbecue Diner in 1964. 3. Jones Barbecue Diner (Marianna). Long before the Jones family moved the joint to its current location in 1964, they operated The Hole In The Wall in downtown Marianna. The recipe dates back to around the Civil War, but no one can clearly determine the place’s original opening date. The first barbecue was believed to have been scooped out of that washtub in the 1910s. Slices of pie at Franke's Cafeteria. This was the front of the Hot Springs Franke's location. away as Hot Springs and in places such as the old University Mall. Two locations today – one downtown and one off Rodney Parham in west Little Rock. 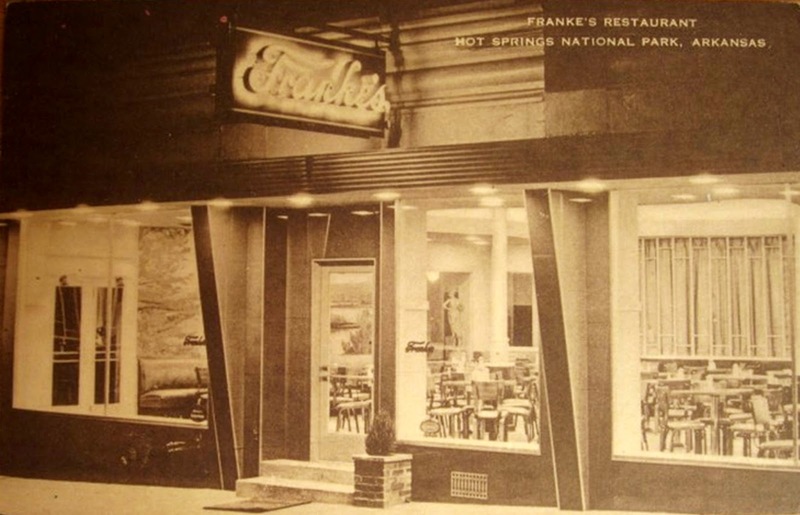 Franke's is also the longest same-family-owned restaurant in the state. Buffalo Ribs at Lassis Inn, Little Rock. 5. The Lassis Inn (Little Rock). Now, this one’s a bone of contention… some say the original Lassis Inn dates back to 1905, others to 1931. It’s been serving buffalo and catfish steaks and fillets for eons, that’s for sure, and it’s considered the oldest soul restaurant in Central Arkansas. Oh, and no dancing, all right? The White Pig Inn in North Little Rock. 6. The White Pig Inn (North Little Rock). Central Arkansas’s oldest barbecue joint started smoking in a log cabin in 1920 and still does ribs right along Highway 70. It’s survived world wars, changes and even car hops over its tenure and it’s still going strong. The counter at the Broadway Cafe in Prescott. 7. Broadway Café (Prescott). Originally opened next to a downtown hotel in 1920, this diner (also known as the Broadway Railroad Café) offers home cooking and hearty breakfasts in a mint-green dining room with a short bar. Broadway Cafe has recently closed. Fried chicken at Myrtie Mae's in Eureka Springs. 8. Myrtie Mae’s (Eureka Springs). This one's more a matter of lineage. 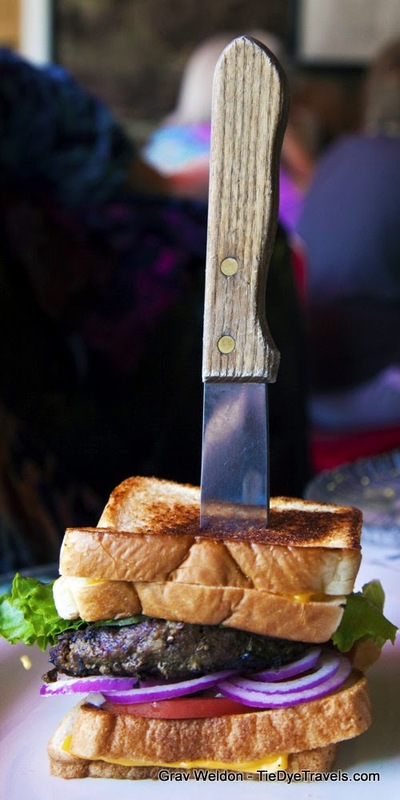 The tradition began in the 1920s, when Myrtie Mae Bennett, a widow who lived next door to Sam Leath’s automobile camp for tourists, first nailed that board to a tree that simply said “chicken dinners.” Her place was replaced by the Mount Air Camp Restaurant and then others. Today, the restaurant ensconced in the Best Western Inn of the Ozarks, built on that same property, still makes fried chicken according to Myrtie Mae’s original recipe. The Skyline Cafe in Mena in the 1920s. 9. Skyline Café (Mena). The original restaurant started up in 1922, and was the heart of Mena for generations. It gets a pass on the continuously operating bit because it wasn’t voluntarily closed – a tornado wiped it out in April 2009. The community worked together to recover what could be salvaged – even photographs found blocks away – and the restaurant reopened quickly. 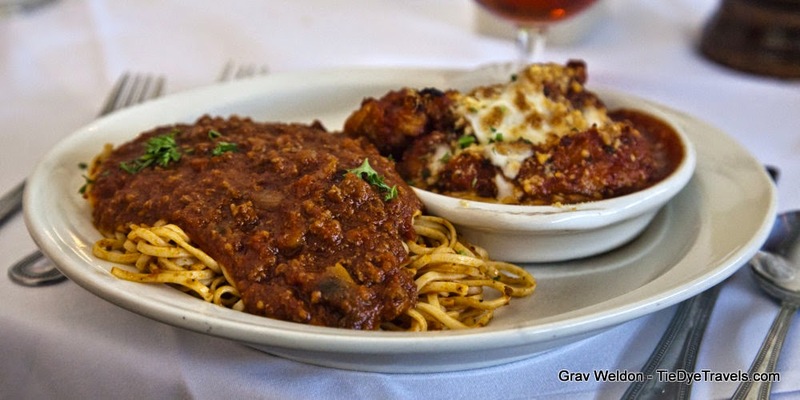 Chicken Parmesana and spaghetti at Mary Maestri's. 10. Mary Maestri’s (Tontitown/Springdale). Mary and Aldo Maestri started serving meals out of their home way back in 1923, offering all-you-can-eat chicken and spaghetti for 75 cents a person. They eventually got a proper restaurant building going, and it ran until October 2010. Less than a year later, operations began again and in 2012 Mary Maestri’s reopened in Springdale. Mary Maestri's is closed while its owner looks for a new location. The Dixie Pig in Blytheville. 11. Dixie Pig (Blytheville). The original Blytheville barbecue shack first put hickory wood under pork butts as Ernest Halsell’s Rustic Inn in 1923. The family still operates the place today, more than 90 years later, never rubbing or spicing those butts, just letting the smoke worry them until they fall apart. Food lovers divert their way off the interstate for a pigmeat sandwich with that peppery thin sauce. 12. Brother’s Cottage Café (Van Buren). 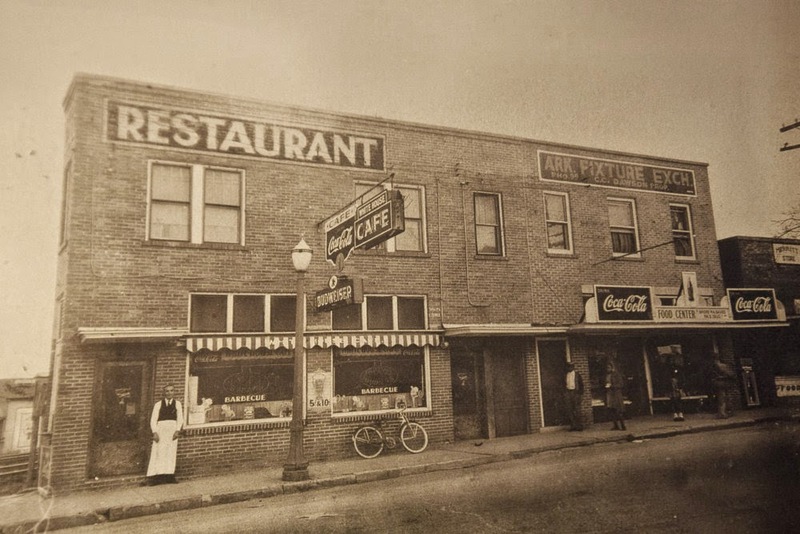 The original Cottage Café opened in 1925 at the top of Van Buren’s downtown hill, right across from the depot. It became known for great breakfasts and good coffee, but eventually closed in 2008. The next year, brothers John and Danny Ray had it opened back up and added amazing tall pies to the menu. Brother's Cottage Cafe has closed. Magnolia Bake Shop still stands here today. 13. Magnolia Bakeshop (Magnolia). Originally opened in 1928, this bakery on the downtown square is Arkansas’s oldest, best known for its rich layered cakes and such, was started by Carmie Schobel Stroope, and it’s remained in the family ever since. McClard's Barbecue in Hot Springs. 14. McClard’s Barbecue (Hot Springs). The owners of the Westside Motor Court obtained the famous sauce recipe from a guy who couldn’t pay for his stay. In 1928 the restaurant now known by the family name started serving up barbecue GOAT from its pit. Today, visitors come for its fame and its ties to former Hot Springs resident Bill Clinton. I could go on all day about different places that are far older than the restaurant at the Oark General Store, but I believe I have made my point. 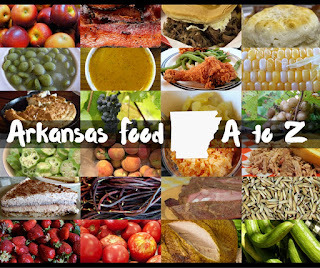 Want to share your favorite old-time Arkansas eatery? Post your suggestion in the comments below. Kitchen's Corner Cafe (Heth) -- formerly Boles Grocery. The building at the corner of Highways 70 and 79 south of I-40 and north of the town of Heth has always held a grocery store and counter. But whether that counter has always operated is up for conjecture. Wilson Cafe (Wilson). The little place simply known as The Tavern to locals has held a restaurant most of its 100 year existence. However, it's also been closed for long periods as well. Futrell Pharmacy (Pocahontas). Not an actual restaurant, per se, but this Pocahontas shop has a soda fountain and has reportedly been serving ice cream and sodas since the 19th century. George's Majestic Lounge (Fayetteville). George's isn't a restaurant, but it's almost always HOUSED a restaurant. That's why the Dickson Street mainstay, which dates back to 1927, is also on the record for northwest Arkansas's first pizza delivery. Asher Dairy Bar (Little Rock). 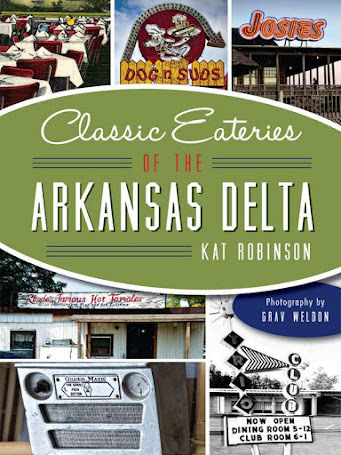 Once located on the highway between Little Rock and Benton, the capital city grew its way out to encompass the classic dairy diner. In operation since 1929. OK. this comment is regarding something that is apparently kind of old, but if I was going to list the restaurant that best represents Arkansas, Slim Chickens wouldn't be in the top 200-300. That is patently absurd!!! And as for a dessert to represent us, red velvet cake would never even be considered. I never even hear of it until less than 10 years ago, I've only eaten it once, and a was not at all impressed. With all of the wonderful pies to choose from, no kind of cake would not be in the top 25. Then there's things like banana pudding ... YUM!! I totally agree with all you said. I've lived in Ark. for most of my life and saying Slim Chickens and red velvet cake represent Ark. is a joke. Yay for Dixie Pig and Wilson Cafe. I gotta say I love that corned beef sandwich at the track. Thank you for a great article. I would love to visit each place. Very interesting article. Will be trying the White House Cafe in Camden soon.